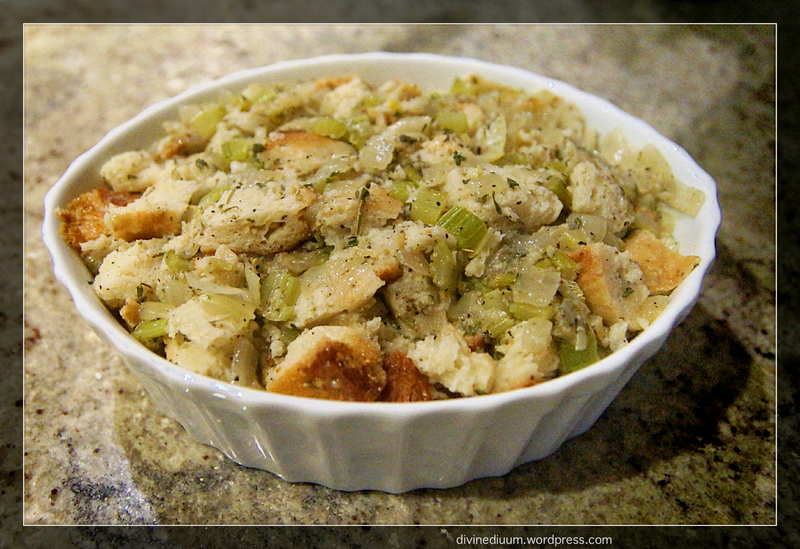 HOW ABOUT STUFFING FOR EASTER? I bought a delicious herb and garlic baguette the other day and rather than toss what was left, I had other plans. 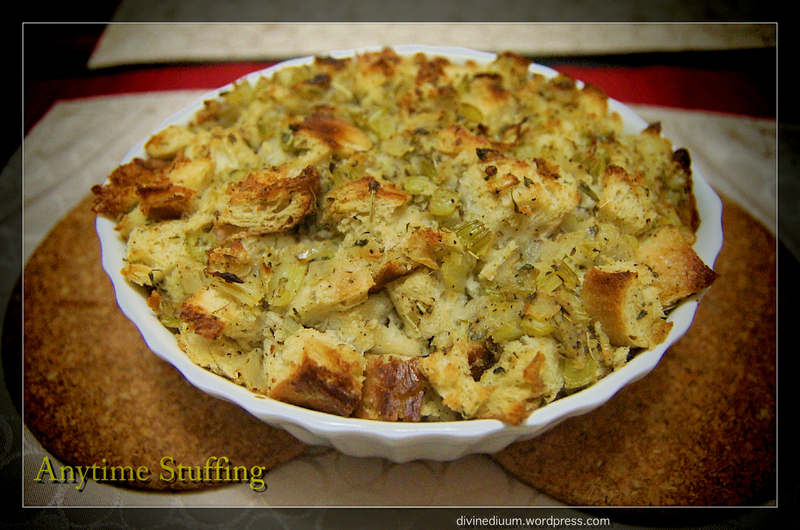 After a few days, the bread became dry but that is the best way to prepare stuffing. With Easter around the corner I figured stuffing was a good idea. On holidays, my plate will often have a bit of turkey, some cranberry sauce and the rest of the plate will be filled with my favourites: mashed potatoes and stuffing! Traditionally we don’t eat turkey for Easter but we do eat mashed potatoes and that is as good enough a reason as any for this side dish. I was determined to make my own this year. From scratch. There was nothing stopping me from eating stuffing with other things. This year I accompanied my pork loin roast with this recipe, throwing some buttered carrots on the stove and boiling some potatoes to mash. A delicious Easter dinner. As usual, there are several variations but I like to perfect a basic before experimenting and so I started with the herbed bread and cubed it into approximately 1″ cubes. After that, everything fell into place. Besides parsley, other great herbs of choice could include sage, rosemary or thyme. 1. Sauté the onion, parsley, celery and garlic in the butter until tender. 2. Stir in the salt and pepper. 3. 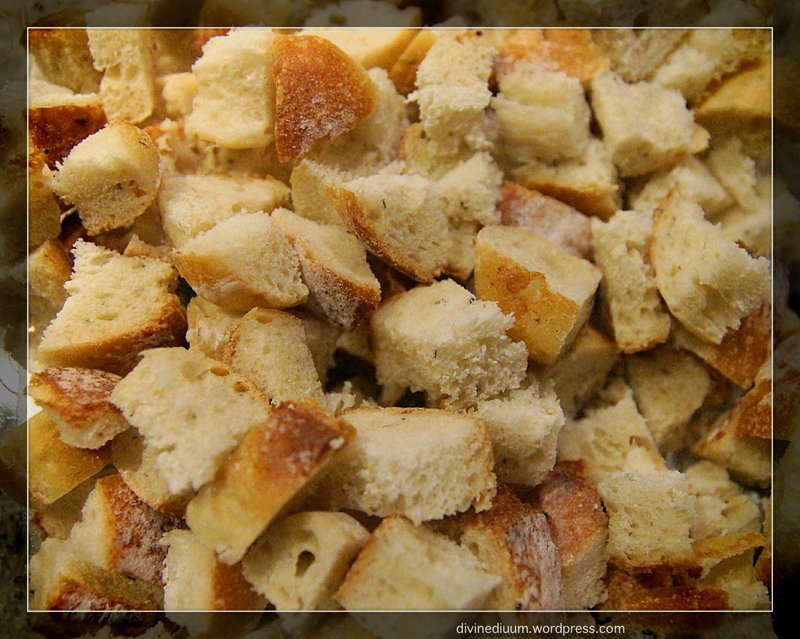 Add chicken broth and toss the mixture with the cubed bread. 4. Let it soak while oven preheats to 375º. 5. Pour the mixture into a lightly buttered dish and bake for 45 minutes. 6. 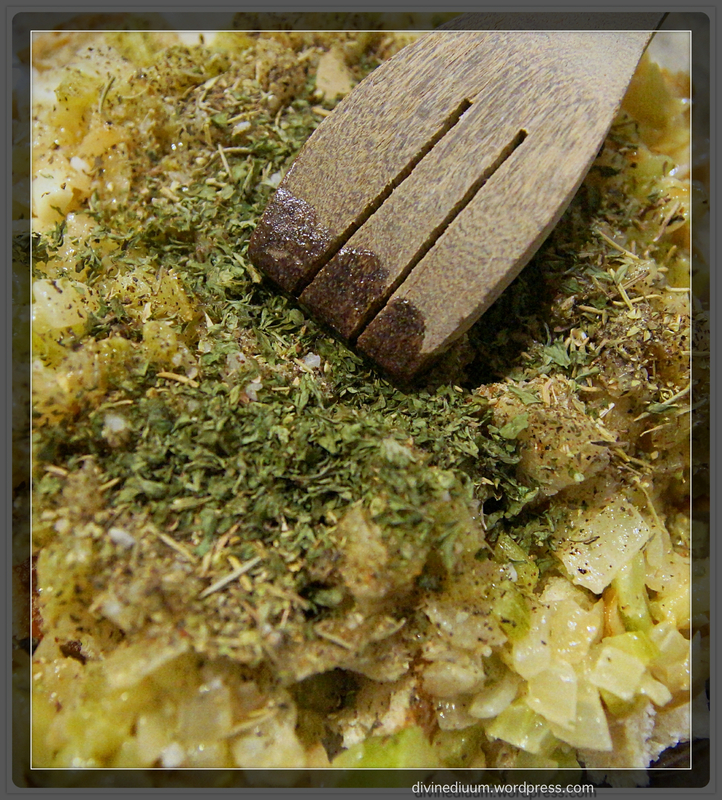 I like to crisp mine on broil for 5-10 more minutes so my stuffing texture is a mix of crisp and soft.